Home»Gadgets»Smartphones»Google Phone (or GPhone) in the Making? It seems like it’s not only Apple that is preparing to grab a pie in the mobile phone gadget market, with its highly anticipated iPhone, rumored to be officially announced during MacWorld conference in January 2007, but Google has also set its sight on the lucrative PDA phone gadget market. Reports has surfaced that stating Google is in discussion with Orange, a mobile service provider/operator in UK, to design and create a Google branded phone which will make usage of Internet in mobile phone as easy and as natural as in desktop computers and laptops. According to Guardian, the Google Phone or Gphone will be a smart phone or personal digital data assistant (PDA) powered with Windows Mobile and manufactured by HTC, the leading Taiwanese firm in creating smartphones and Windows Mobiles. Other than branded Google, the Orange’s logo may be imprinted too, with LCD screen similar to those of video iPod. What really matters is that the Gphone will have built-in Google software or G-apps which would dramatically improve on the slow and cumbersome experience of surfing the web from a mobile handset. The Google apps that may be integrated into the Gphone include location-based web search with GPS functionality, Google Maps, Google Earth, Gmail, mobile search, and even ability to stream YouTube video contents smoothly to the mobile phone. The Google phone will surely benefit to those who like to always have Google in their hand no matter where they’re or when on the move. 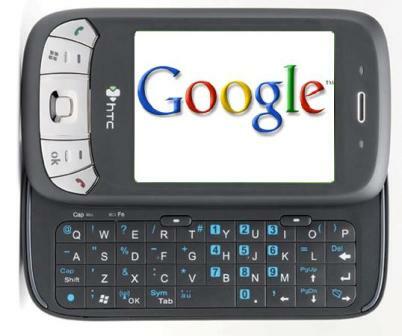 However, this Google mobile phone may not seen the light on retail market before 2008.